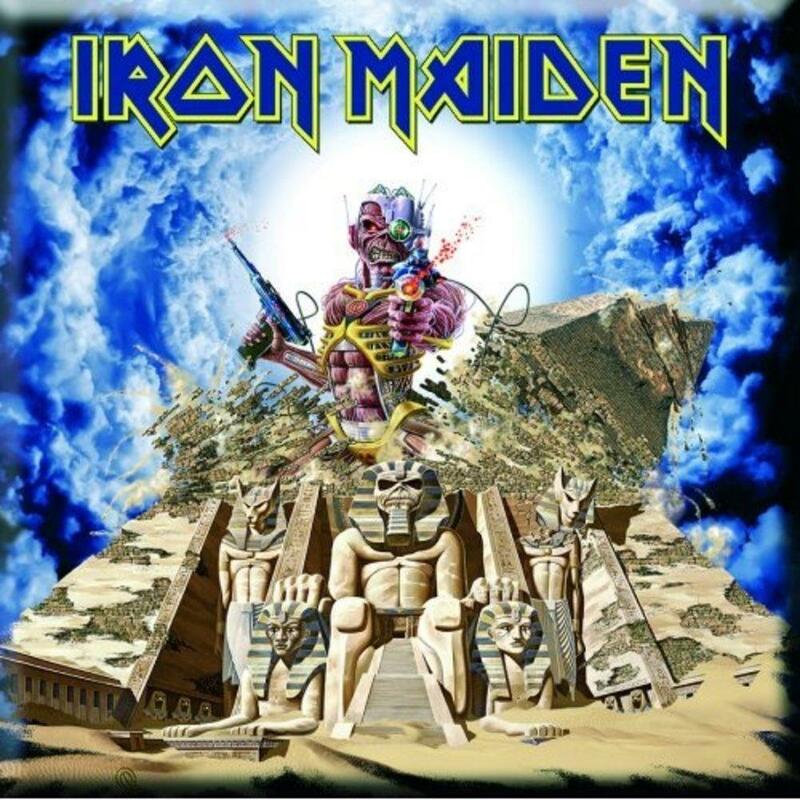 Iron Maiden - "Somewhere Back In Time"
Iron Maiden have prevailed over the world of heavy metal for almost thirty years, yet are also without doubt one of the most contemporary and exciting bands of the 21st century. And in their defiant spirit of overturning convention – from flying their own plane around the world on a record-breaking tour to selling over 70 million albums Worldwide without mainstream radio or TV support – today Iron Maiden announce a revolutionary new way of delivering music to their fans. With the overwhelming success of the current ‘Somewhere Back In Time World Tour ‘08’, and the recent No 1 selling DVD ‘Live After Death’, EMI Records are proud to release a very special album on 12th May to chart the first decade of the band’s extraordinary career. The album celebrates the essence of the current tour by featuring most of the essential tracks from the band’s first seven studio albums and one live album, recorded between 1980 and1989, and is aptly also entitled ‘SOMEWHERE BACK IN TIME’. In an unprecedented move to let younger fans hear, understand and appreciate the quality of these recordings EMI launch the unique SOMEWHERE BEST IN SOUND whereby the curious/adventurous can download the entire album without charge from as a high quality audio file (WMA) which is a typically powerful 320 kbps. Fans will then be able to listen to the entire album at their leisure three times before the download expires. The listener is then given a simple option to upgrade and purchase the album as a full traditional DRM-free download (so they can then copy or do as they like with the album). "Maiden have a huge catalogue that is highly treasured by fans and media alike. However we recognise that our ever-increasing fan base is very young and can't be expected to know all the earlier albums, which is why we have put this collection together for them. Many of our fans weren't even born when the original albums were first released, although amazingly they seem to know all the lyrics when they sing along with the band at our concerts! We also recognise that 'albums' as such have become unfashionable to many over recent years with TV-generated pop artists stringing a couple of 'hit' singles together with filler tracks and releasing them as a quick fill album which disappoints and quickly becomes dated. So this is both an introduction to the band’s recording history and a chance for young fans to try a full-length Maiden album and realise they’re getting the real deal!" "We wanted to give the kids of today a fair chance of hearing the music as we would have first heard and experienced it in our day when checking it out in a record shop – top quality sound, in their own time and in an environment of their own choosing so they are able to absorb the depth and worth of the music and lyrics that make Iron Maiden the phenomenon they are. What better way to use modern means and a very high quality download! Sadly the WMA (Windows Media Audio) isn't compatible with Macs or iPods but we are confident that our young fans are adept and fluent with modern technology and we will post simple instructions on our website for any that need guidance."